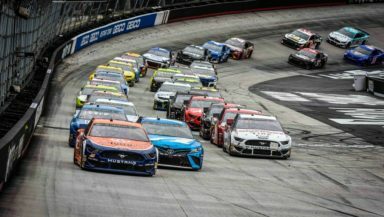 Online sports betting extends itself to sports such as football, baseball and basketball but recently it has also seen a steady trend of online users who are fans of fast cars and killer race tracks. Thankfully for us we have also seen a steady increase in sports books which are designing themselves to take on bets from car punters like ourselves. Seeing sites like NoviBet offer high stakes and live sports betting on fast cars gave us the thrill of our lives and so upon further investigation we discovered there aren’t many differences between betting on Formula 1, Moto GP or NASCAR. Si if you have already bet on one or the other takes small notes. If not, here are the basics to betting on fast cars and hot tracks. Just like you would look for a reliable sports book to take your bet and cash out your wager when you are a football or a hockey fan, you would do the exact same when you are making wagers on speed races. Look for a reliable online bookie, one that is legal, registered and accepts punters from your country. Check the legitimacy of the online sports book before making a real cash wager. Just like any other sports there should be a general understanding of the terms used to place bets as well as comprehend their meaning. You should at least know what you are betting on and this means understanding the basic glossary of betting terminology. Luckily, as all sports are similar in nature, you will learn one common language rather than a number of various terms for each various sport. Make sure you keep your bankroll close enough that you keep an eye on it at all times. Do not place multiple bets in hopes of winning at least one of them. This will deplete your bankroll faster than you ever imagined possible. You wouldn’t have enough roll over to place another bet without dipping into your savings. Try avoid this by betting on the odds that work in favour of your knowledge and keep those bets to a minimal unless you are riding a sure prediction out. This is a popular manner of comparing odds, by following predictions and odds cast and weighing them against other sports books. Be sure that you have enough general knowledge to see which odds predicted work in your best interests. You can ensure you have enough common knowledge by doing research through older footage of NASCAR races or following through your wagered driver’s career. Betting on the favourite here is more common as punters do become familiar with the drivers over the period of their career. Make sure you give yourself the best winning chance by understanding what is required from you when you want o place a bet and how to cash out your winnings. Until you learn about online sports betting keep your wagers small and listen to online advice, the rest should be all good!